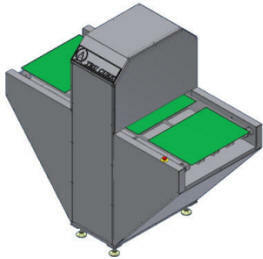 Double Sided Curing System: Can be used to cure any Thermal Inks: Legend Ink, Via Hole Fill, and Peelable Solder Mask. Lamps used in this system are very efficient. The total time to cure LPI Solder Mask is only 4 minutes! Warm-up time of the system is less the 5 minutes!